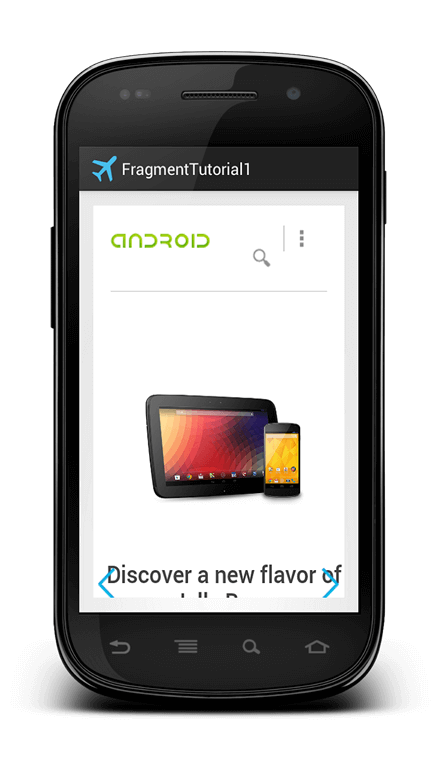 This post describes how to use Android Fragment transaction to handle fragments. 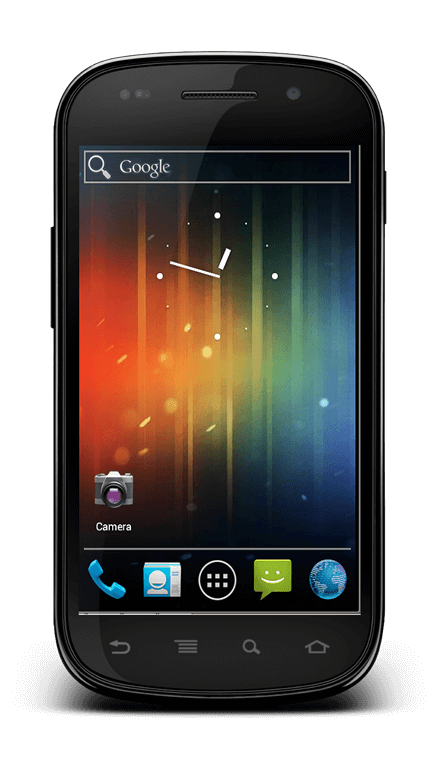 Android Fragment are useful when we want to support multiple screen size. To manage fragments we need a FragmentManager that help us to handle Android fragment trasaction between fragments. 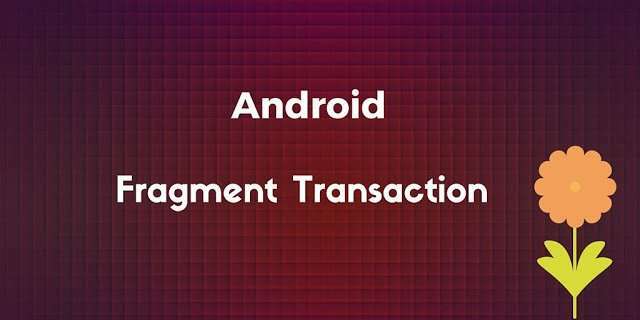 With Android fragment transaction we mean a sequence of steps to add, replace or remove fragments. In the last post we showed how to support multiple screen size and orientation using fragments. Now we want to go a bit further. If you are not familiar with Fragment i suggest you to read before how to getting started with fragments. It can be useful, if you want to go a bit deeper, read also this tutorial about a real life example of using Fragment with Webview, before digging in the fragment transaction. Static method is when we “write” directly our fragment in XML file. So now we have all the freedom to “inject” in the FrameLayout our fragments. As we said before FragmentManager is the key component. Using FragmentManager we can discover (find) fragment inside our layout using findFragmentById or findFragmentByTag. While the first method is very simple and we use the common android id to discover the component, the second method (that uses tag) is unsual. A tag in a fragment is simply a “name” we give to the fragment so that we can find it later using that name. We are more interested in some other methods. If we remember the example we used last time every time a user clicks on a link the interface method onLinkChange is called. So in this method, we want to show how to perform the operation listed above. If you compare this piece of code with the last example in the previous post you notice some differences. First, in the green part, we don’t start an activity anymore when the user clicks on a link but we simply replace the FrameLayout with a fragment showing the web page. Moreover, in the yellow part we don’t update the current fragment inside the FrameLayout but we create a new fragment and we replace the existing fragment with the one just created. The app behavior is always the same but we obtained this behavior in a different way, using dynamic fragments inside our layout. If you run the app and start using it you can notice a “wired” behavior when you press the back button. We’d expect that the back button would bring us to the last web page visited but it isn’t like we supposed. When you press back button you come to the homepage. We use the addToBackStack method of the FragmentTrasaction and we add every fragment to the backstack. In this way when we tap the back button we have the correct behavior. In this post, you learned how to handle Android fragment transaction and how to manage fragments. This series about fragments is the best I found. It not only shows knowledge about the matter but, what is more need in this job, expertise to explain it. What happens to the back stack on rotate? Is it set to null? did you find out? I am currently struggling with this. I am also having problem to understand this…Do u have any ideas? I want to make dicitonary app and ıt looks like word card so that I think I can use many fragment but I don’t know using many fragments. (2000 word card must be in project) can you help me? I want to make dicitonary app and ıt looks like word card so that I think I can use many fragment but I don't know using many fragments. (2000 word card must be in project) can you help me? Whose id is “R.id.fragPage” ? i didn’t found any variable or page of that id in your code. can you explain why getBackStackEntryCount() method is return 0, please? this has very helpfully for me! Replace method replaces a fragment that already exists. Add method adds a new fragment.